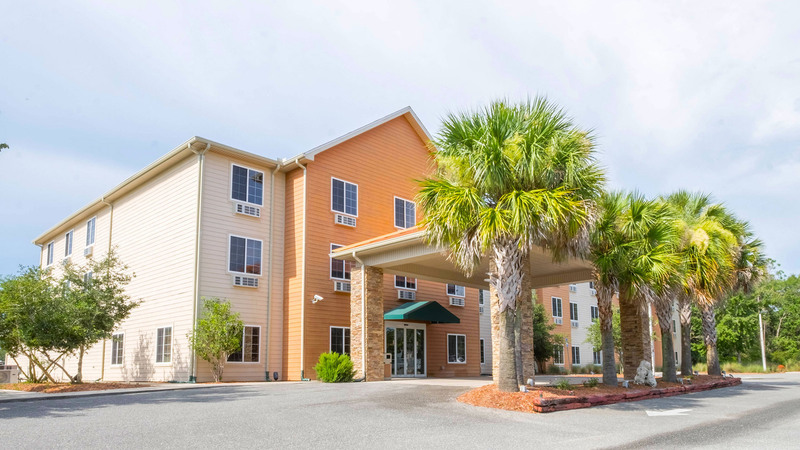 The Magnuson Hotel Wildwood Inn, located in beautiful Wakulla County, just 30 minutes South of Tallahassee, is the perfect place to enjoy a true Old Florida vacation, a family reunion, the perfect wedding, banquet or corporate retreat. For eco-tourists, Wakulla County and Wildwood Resort is unbeatable. Surrounded by over 1,000 square miles of protected land which is home to some of the most unique and beautiful wildlife in the southeast, this Florida hotel offers easy access to nearly a dozen rivers and spring-fed streams as well as numerous trails for hiking and biking. Whether your passion is canoeing a spring-fed river to enjoy the sight of manatees and alligators or hiking the Apalachicola National Forest in search of the rare cockaded woodpecker or fishing the flats for the perfect trout, the friendly staff at Wildwood Resort can make your dream a reality. 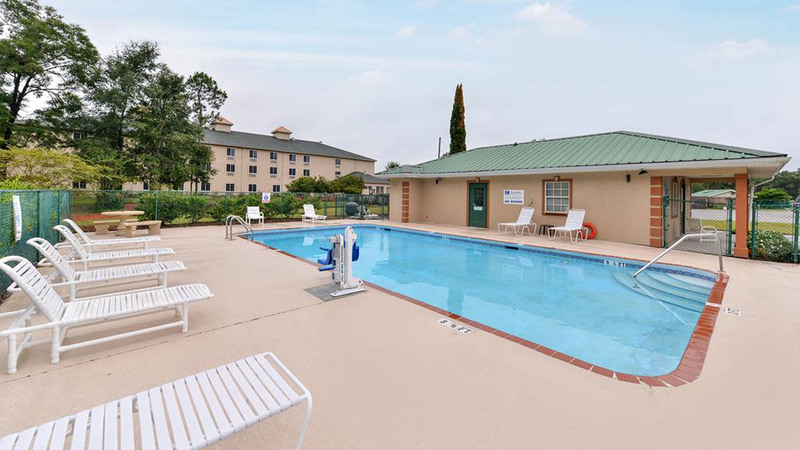 As a guest of the Magnuson Hotel Wildwood Inn, you can enjoy a fitness center, pool and tennis. 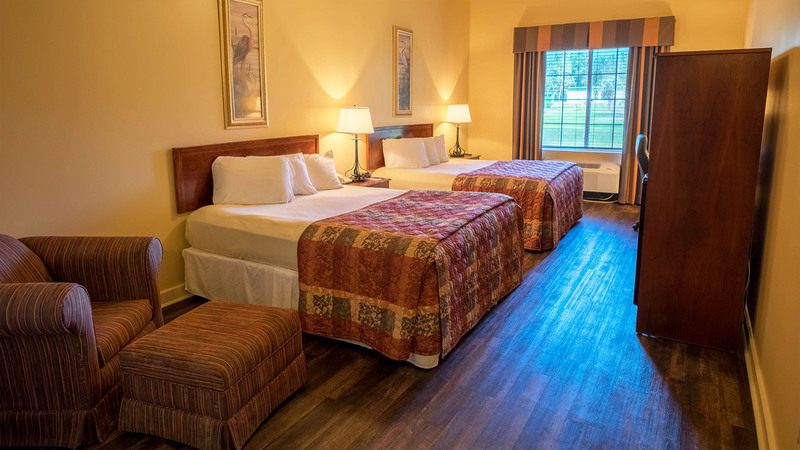 In you are a fan of golf, make the most of our Crawfordville golf hotel and play a round at the Wildwood Resort Golf Course, plus the best wildlife viewing, fishing, canoeing, hiking and boating in the area. 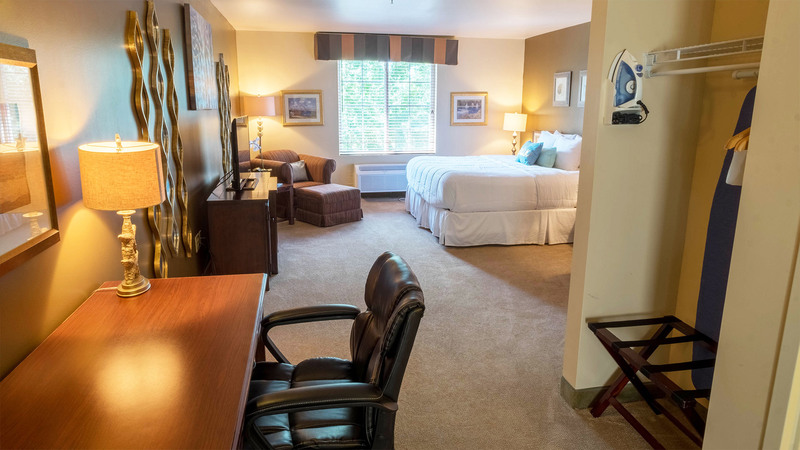 Start each day with a complimentary breakfast, and stay connected with free high speed internet access. Enjoy some delicious Southern food at The Seineyard at Wildwood. The restaurant serves lunch and dinner and is open Thursday-Sunday. You can also enjoy drink specials at the bar in the restaurant. Crawfordville, Florida is a charming unincorporated community that serves as the county seat of Wakulla County. It plays a big role in the United States military small arms ammunition manufacturing since it's home to the headquarters of the St. Marks Powder company. The courthouse is a charming whitewashed, wood-clad structure that was originally built in 1894. Right across the street, is the Old County Jail with it's historic displays and genealogical records.